We embarked upon this Lent Madness journey over five weeks ago on “Ash Thursday.” With your help we have whittled the field of 32 saints down to two: Harriet Bedell and Charles Wesley. Who will walk away with the coveted Golden Halo of Lent Madness 2014? Only 24 hours and your voting participation will reveal this holy mystery. In the process of this whimsical Lenten devotion we’ve all made some new online friends, encountered a community of believers who take their faith but not themselves too seriously, learned some things, were inspired by saintly witnesses, and had a lot fun along the way. Of course we literally couldn’t have done this without our stellar Celebrity Bloggers to whom we offer sincere gratitude. Amber Belldene, Laurie Brock, Megan Castellan, David Creech, Laura Darling, Robert Hendrickson, Maria Kane, Penny Nash, Heidi Shott, and David Sibley. Thanks to Bracket Czar Adam Thomas for his stellar behind-the-scenes work in keeping the bracket updated daily. And we can’t forget the ever mysterious Maple Anglican who brought us the inimitable shenanigans of Archbishops Thomas and John. You all rock! Speaking of Maple Anglican, here’s the last Archbishop’s Update. But before you watch it (or after) be sure to check out some Golden Halo fashion tips from Lent Madness fan and Vogue model (seriously) Julia Frakes. Oh, wait, there’s one more thing before we set our face toward the Triduum. But first we should note that Heidi Shott has shepherded Harriet Bedell through the brackets while David Sibley has done the same for Charles Wesley. We’ve asked them for a single image and one quote. We’ve already heard a lot about them and from them — click the bracket tab and scroll down to view their previous match-ups if you want to refresh your memory. And the, it’s time. The polls will be open for 24 hours and the winner will be announced at 8:00 am Eastern time on Maundy Thursday. Now go cast your vote — the 2014 Lent Madness Golden Halo hangs in the balance! — Charlton Tebeau, Collier County historian, in “Florida’s Last Frontier,” 1966. NOTE: At 10:55 p.m. EDT, the Supreme Executive Committee banned three voters and removed 41 votes from Harriet Bedell, due to voting irregularity. Remember to VOTE ONCE ONLY. The voters in question were in Buffalo, NY; Rochester, MN; and Gulfport, MS.
218 Comments to "For the Golden Halo: Harriet Bedell vs. Charles Wesley"
I always vote for religious who get their hands dirty for the saints. I just tied this one up. Rebecca Stephens, Harriet Bedell for you! That’s Rebecca Stevens with a “v”–sorry, Rebecca. Um…….”ILL in heaven we take our place”……? Did someone forget to attach a “t”? Once again, I have to go with substance over sentimentality. Sorry Charles, but Harriet went beyond heavenly feelings and made the Word alive and moving in the world. Perfectly put, Ray! No comment I could make nails my feelings the way yours does. Harriet Forever! Yes, I am voting for Harriet. I am so impressed and moved by her work for others. She really did follow in Jesus’ footsteps. These comments forget Charles’ role in the Holy Club at Oxford in the 1720’s that focused on personal piety and acts of mercy: they visited prisons, weekly or more, fed the hungry, cared for the sick, and more. Charles is known for hymns, but was a servant of God first. Charles Wesley’s music is immortal. Just had to go with the good deaconess. Oh Nooooo! “Ill in heaven” ??? What??? Please fix typo, otherwise results may be skewed!! Just based on the quote provided, I think Charles himself would have voted for Harriet – and as much as I KNOW that those who sing pray twice, so will I. Nice to watch the bishop’s review but it was for 2013 – where is this year’s review ?? Oops . Link on the first page to come up takes up to the wrong year. Indeed, that’s what made things so hard for me this morning. I see many benefits to her victory. What a difficult choice! I so admire Harriet for what she accomplished (and traveling in those days from Oklahoma to Alaska to Florida was no mean feat). And I love the hymns that inspire us from Charles Wesley………especially Christ The Lord Is Risen Today. As a musician, the flip of the coin goes to Charles Wesley! This was my first Lentmadness……my brother’s church “played along” and he gave me such a good tip…….have learned so much about saints known and previously unknown. Thank you! The typo notwithstanding, Charles for the Golden Halo! That smiling countenance made the difference for me. Note for next year: smiling portraits with friendly dogs key to victory. I love that picture too, Madeleine. He looks so happy! One of the two times I’ve seen my husband (an organist and director of music) cry was at our wedding as we sang “Love Divine, all loves excelling.” If ever you are discouraged by church bureaucracy, church family fights, religious intolerance, complacency and boredom- sing this song. Whatever bad and damaging theology I’ve encountered these words promise and remind me of the ultimate Christian gospel -the work of God to change us all and all things from glory into glory. I bet that’s what gave Harriet her vision and strength. I’ve voted for her most of the way but now, Thank you Charles Wesley, Go Charles! The last close one of the season, thank goodness. I don’t think I could take any more. I’m voting for Wesley this time because his hymns have had a central place and formative role in the liturgy of the Church and the devotional lives of her people since the 18th century. That said, I’m heartbroken that I logged on after the typo was corrected. You snooze, you lose. A blessed Spy Wednesday, Triduum, and Easter season to everyone. I look forward to 50 Days of Fabulous. Thanks for fixing the typo, o Tim. Go have some coffee. I recommend Bishop’s Blend…. has won my vote for the golden halo. Despite the considerable conflict in my family over this final round, I have not only voted for Harriet but have begun an icon in her honor. She will have a golden halo. How lovely! What a wonderful way to honor such a great woman. Verdery – thank you for introducing me to Lent Madness. It has been one of the most refreshing Lent seasons ever for me to read and reflect on the lives of these saints who preceded us in the Church Militant. OH, but having to vote? It’s like having a General Election every day….. I’lll sing with St Charles over Good Friday and Easter…. see if the Golden Halo will light up my home country…. Toughest choice ever! but as a deacon, I vote for Harriet today. Charles has received many tributes and accolades over the years. Harriet quietly went about her work bringing Christ to the world and the needs of the world to the church. This has been a wonderful Lent Madness, can’t wait for next year!!!!! As an Episcopal deacon myself, I voted for Harriet for basically the same reasons. I do love the hymns Charles wrote, and had voted for him all through the brackets, but that picture of him comfortably writing with his dog was quite a contrast with the conditions Harriet endured in her work. I am so grateful to LM for teaching me about Harriet! Still this was by far the most difficult choice yet. I wish LM had a “Both” option, and that we could have twin golden halos this year! A Vote for all Deaconesses, with a Vote for Harriet Bedell , in Memory of Sister Ruby, 1879-1974, New Haven, Connecticut, she and Harriet could be Doubles! A Golden Halo for Harriet ! Harriet did get my vote this time, but thank you for the write up, Ivan. It’s beautiful. I’ll be proud to use a Charles mug if he is the final for this year’s Golden Halo. I was vacillating, Ivan, and you just reminded me of how much a social revolutionary Charles was. As a pointed out yesterday, his Methodist descendants were formidable advocates for the Cherokees in Georgia, even taking a case to the US Supreme Court. But truth is, he had me at “Love Divine.” I also love the synthesis of head and heart his music and theology represents. This will also be a vote for ecumenism, as Methodists and Episcopalians and Anglicans will all claim him. Well, said, Linda and Ivan. “Love Divine” always chokes me up–what an image of what is to come! Charles just had to get my vote one last time. Even though I love singing CW’s hymns, I am lost in wonder, love, and praise for the work and character of Harriet Bedell. Charles, your words have sustained me. Harriet, your actions have inspired me and perhaps redefined what ” mission ” means to the church at large. Could Harriet have been inspired by Charles’ words? Being a once-musician-and-now-a-priest type person, my heart goes out to Harriet, but my vote goes to Charles. His hymnody is wondrous and there’s nothing quite like “Love divine” set to Hyfrydol to get my heart stirring! Whoever wins, I have learned so much about so many remarkable people. A true inspiration for all of us. I will miss my morning study! Me too! I always learn something. Yes, I agree. I have learned a lot from the match-ups and the 32 originial men and women. I love it, too. I’ve found the Forward Day by Day web site is a different but still meaningful source of daily inspiration with its short essays, bios of holy persons, and Bible readings. And during Easter, Fifty Days of Fabulous is another good way to start the morning. But there’s nothing quite like Lent Madness and the minds and souls it brings together. Bless one and all. Happy either way this turns out! Harriet Bedell all the way: 1982 Hymnal outdated long ago. It is all about mission and outreach. The Wesleys, both Charles and John were all about mission and outreach. Such a tough choice, but I have to go with Charles. The life examples of both stir my heart (especially as my husband’s family also worked with Native Americans). Even this morning, as I read the lines to Love divine, my heart swelled and eyes teared up. Which would look better with a golden halo…a wimple or a wig? While Harriet is clearly a saint and an incredible witness to the Gospel, I have to vote for Charles for his impact on generations of Christians. Whether he attains the GH or not, Charles Wesley will be part of almost if not everyones Easter worship w “Christ The Lord is Risen Today.” No small honor all by itself. Thank you again, for a wonderful season of Lent Madness! Voted for Harriet! Hard choice like they all were this year but hands down, the sprightly little lady gets my vote. She reminds me so much of my grandmother who was a pioneer in her day as well. My mother started me out as a Methodist…. and then years as a young Episcopal choirboy connected me to Charles all over again. Not to mention the deep social caring/spiritual depth connection of the original Methodist movement… for someone brought up in a New England milltown.. where that social caring made a great difference… it’s Bless you Charles, here’s my vote. Just curious… Might that milltown be the land of “hills, mills, and pork pies” (aka Fall River)? Oh, to drive up President Avenue and taste Hartley’s pork pies again! Charles has statues and portraits and buildings…..Harriett should get the Golden Halo! Charles’ music is glorious, Harriett followed in Jesus’ difficult footsteps. What a hard choice! But I’m for Harriett as she went through life and now heaven, probably humming Charles’ hymns. Harriet has pushed through to the top with the same intense determination with which she served and sought service for her beloved Seminoles. The County officials and legislators of her time would not be surprised! Charles has soared to the top on the notes of his glorious hymns which sing in our hearts through the ages. My heart full of music votes for Charles Wesley. May his be the victory alone. they are neck and neck…what if there’s a tie? will we have a tie breaker? It’s Wesley all the way for me. A blessed and Holy Week, Triduum, and Easter to all. This has been a wonderful blessing to me as I’ve been recovering from successful surgery. Love Harriet! You will win the Golden Halo! Thank you for Lenten Madness. Better than the sermons I have heard throughout Lent…. I expect I know who will win (unless Methodists and music lovers overrun this website). Based upon comments throughout this year’s Lent Madness, “doers” of social ministry have tended to be (wrongly) proclaimed more saintly…over and over again. I don’t mind those with a preference, but I do mind any proclamation of ultimate saintliness. Scripture indicates that we all have a vocation as part of God’s plan. Our behaviors in secret, our acts of worship and prayer, as well as our loving our neighbor are intimately related AND all important. Any list of saints can be helpful, but they are inherently imperfect like the saints they list. Supposed standards of greatness ultimately reflect our human preferences and values, not necessarily God’s own. Both candidates today were used by the Spirit as God intended using the gifts given them in wonderful ways. Yet, how can we claim one act or behavior more saintly than another if they fulfilled their call and benefited from God’s grace? We shouldn’t, or else we are playing God who sees everything, even that done in secret. Vote for whomever you like today. Speak of how you relate to them or why you prefer one over the other as you might a friend. Rejoice with them in Christ’s love, a love we are all meant to share somehow. Even learn from them and perhaps try to imitate some of their faithful behaviors in your context with the gifts God has given you. Yet, let’s please stop playing God in declaring ultimate holiness. let’s not demean the sacred call of others as if we know better than God. Let’s stop avoiding our own call and denying Christ’s power in, through and over our lives by declaring, “I’m not a saint.” There have been many saints who have suffered, served or been used to help sanctify Christ’s church that will never be on a list, properly known, or valued by anyone but God. Yet make no mistake. We are all saints called by and to a unique kind of love for important tasks. Let’s live like saints – together. In closing, may the Three days before us bless you and your family. It’s been madness, and it has been fun. See you next year. While I too have noticed the bias (which I often share) towards doers. But I think the bigger issue is what we see as doing, and the difficulty many people have in seeing people in their context.. Wesley, for example was not just a hymn writer, but a priest who served those undeserved by the C of E in his day. Or Lydia, who was equally a doer, even though her ability to be so was shaped by her being a wealthy business woman. I think sometimes we lack imagination about the past. Both Bedell and Wesley are stirring examples, both inspiring missionaries. Thank you, Lou, for your comment (which would make an excellent All Saints’ homily), and you, Susan, for your reply. For some, active mission is indeed their calling; for others, a supportive mission is theirs. There are many saints of whom we have yet to hear–and may never hear in this life. Meanwhile, I’m sure Harriet and Charles are singing in harmony–either a Bach chorale, a Native American chant, or something by an unknown modern composer. I hear what you are saying, Lou Florio, but there is another way to look at this situation or prefernce, as you call it. If you read Charles Blow’s columns in the New York Times, especially the one from last Saturday, you will see that oneof our increasing contemporary problems is that we do not live close to or work with people who are different from us.The data suggested that 65% of us live in homogeneous neighborhoods. When we are surrounded by people who share our situations and values, it becomes much harder to empathize with those who are different, and harder to take their concerns seriously. I realize some people may disagree with that analysis and you may be one of them. However, I have been watching this develop over my sixty years, and I find it very depressing, and very challenging. How do people understand the Christian message if they don’t meet people who are different? Given this situation, work like Harriet’s takes on an even greater importance. We need that kind of example even more today than we did in her day. I do not de-value Charle Wesley’s contribution. I do look around at our society and think that we need to value and understand and emulate Harriet Bedell. Rellingrw, I agree that our culture (and church) is segmented and isolated along gender, racial, political, economic, religious and so many other lines. That’s why I believe Harriet’s victory could be a great boon for discussion and discernment regarding such issues. At the same time, Wesley’s victory in an Episcopal sponsored competition could be seen as a good time to reflect upon ecumenism and worship or as a counter to a culture that is often too busy to go to the assembly for prayer, serve the poor together, etc. For Wesley served the poorest of the poor first hand as well as evangelized with his music. If folks want to lift up Harriet to help raise awareness and encourage service, I’m all for it. If someone is inspired by Wesley to take a first step in faith (or yet another), or perhaps find comfort during loss, etc., I’m all for that as well. If a deaconess wants to vote for a deaconess or a musician for a musician because they sense a connection and/or find inspiration, I’m for that too. Yet, to lift up one type of vocation while castigating another type of vocation is problematic. It can easily lead to a Corinthian worthy “super-Christian” mentality when Christ’s light needs to be everywhere – on Wall Street or construction sites, as much in the reservations and the urban housing projects or rich suburbs of DC. Some here have explicitly devalued the monastics, mystics, musicians, and other’s that they deemed were not “doing” enough, even though they have helped nurture faith, inspired others to service and sacrifice, or helped people wait for answers they sought in life. I’m arguing that those with that attitude should perhaps look at God’s kingdom, purpose and plan another way. Whoever wins will be worthy of study as past of our Christian formation, and so they will be. I really will be happy with either candidate winning. Yes, I agree with you. I am happy with both candidates. I agree with you that there are many ways to minister. Music is a very powerful ministry, and it certainly does move people to belief. We have no argument. In my own circles in a few different dioceses, I have seen more people who are drawn to music, than are drawn to serving the least of these, or just those who have less and are different. And it seems to me that it is too often the case that those who are drawn to mission work are those who often believe in very conservative social values. It seems to me that Harriet was unusual because she had a more balanced view. On the one hand, she was concerned about economic viability, which led her to talk to Frances Perkins to stop the importation of the pseudo Indian artifacts. On the other hand, she seems to have made a kind of ecumenical peace with the beliefs fo the Seminoles, which allowed her to create such a fabulous translation of the 23rd Psalm. Again, I will also be happy with either one as the Golden Halo winner. Amen, and I hope you keep a copy of the second half of this post. I have a feeling you (or the SEC) will need to post it again and again in Lent 2015, 2016…as guidance to the newcomers and a reminder to others. Very well put today. Sorry Lou, I should have addressed you when I sent my response to your comment. Beautifully put! Well “spoken,” Lou, and your comments apply far beyond a vote for the GH. Thank you for your witness. Thank you Lou. Now I have well-said what I’ve been trying not-so-well to say to our adult class at church. Permission to use your words next year? Especially the idea of choosing among the saints as you would a friend….that’s a concept everyone can accept. Barbara, certainly you may use any words I posted here for they aren’t really mine alone. I learned this theology/belief from other saints along my way and perhaps the Spirit too. In honor of the deaconesses who served here in the Appalachians, particularly at Phoebe Needles, and my mother, who spent many summers living with and learning from the Lakota, our house is voting for Harriet Bedell. “Substance over sentimentality” well said, Ray G. Harriett Bedell is an inspiration to us all. Charles Wesley’s hymns might make me cry, but Harriet Bedell shows me how I would like to live my life. I vote for Harriet. We had a men and boys choir at St James in Texarkana. I had a clear soprano voice and the 1940 hymnal was put in my hands at age 5. That’s how I learned to read, so I have enjoyed singing Charles’s hymns for 60 years. Nevertheless, my vote goes to the Deaconess! Really, really difficult choice. Voted for both of these saints through all the rounds, but seeing nothing but “Love divine” before me on the page, with Hyfrydol automatically running through my brain, this musician and lover of hymns couldn’t help it. Charles it was. My Methodist grandmother is singing my praises somewhere in Heaven for this decision, but she knows, I’m sure, that like Charles, I’ll die an Anglican. Now on to the Triduum, the holiest time in our Christian year. If you’re an Altar Guilder, be glad this isn’t your week! While Harriett was definately a Saintly doer and made a significant contribution, Charles’ impact is much more long lasting and reaches more people simply due to his music. Rarely does a month go by when I don’t see his name printed at the bottom of my hymnal when I look to see who wrote the inspiring music. I spent the morning working with a Methodist colleague who tells me that Charles was much the better rounded of the two brothers. With two such inspiring people, my voted is decided by the generosity of my Methodist colleague. This indeed was the hardest all choices and with my vote there were only 16 votes separating the two. I so greatly admire Harriet Bedell and she gives us an example of how to live a life as a servant of God. I am also from Florida (Go FSU), have Oklahoma roots and am in small part Native American. What swayed me to Charles Wesley was my belief that hymns are prayers. I do believe that Charles Wesley touched an uncountable number of lives. I have seen in my own church choir many staff singers of no particular faith finding Christ while singing. One of our staff singers when she left to do her student teaching wished for a prayer book hymnal to go with her as she left our church and choir. Another changed his major and is now studying for his masters in choral conducting at the Yale School of Theology and was confirmed a few years ago. Charles Wesley was steadfast in his faith and will continue to touch and change lives for centuries to come. A vote for the hymnist. We NEED mission and outreach, but it is the music that sustains me [us], from Advent – “Come Thou Long Expected Jesus” – through Easter – “Christ the Lord Is Risen Today” – and beyond “Let us see thy great salvation perfectly restored in thee” As others have pointed out, Harriett was probably sustained in her good work by Wesley hymns. Have you noticed that one of the first things missionaries bring to the “frontier” are hymns? this deacon is going with one of the Wesley brothers. I just tied it up! I suspect this will be close all day and I will be humming all those magnificent hymns as I prepare for Maundy Thursday, Good Friday, & Easter. Charles Wesley for the win! His Eucharistic hymns, not mentioned in LM this year, are true gems as well. Without (much) reservation I cast my vote for Sister Harriet. She truly lived a life keeping only the necessities for herself and it seems that when she had nothing else to give she gave of herself. What could be more saintly. I would hope she wears the Golden Halo proudly, but suspect that if she wins it she will donate it to one of the many impoverished and needy communities of believers she has served. I admire Harriet and the quote about her is certainly a worthy example of a life of service to Jesus. But reading the words of the hymn I can’t think of anything else that so captures the hope and joy of eternity in God. It ALWAYS affects me whenever I sing it — “changed from glory into glory…. lost in wonder, love and praise” AMEN! I voted for Harriet who was among us as an icon of service. As a deacon, I had to honor her. This morning, I am lost in wonder, love and praise for Charles Wesley. He richly deserves the Golden Halo. Happy Spy Wednesday, dear Lent Madness friends! While Harriet did great and worthy deeds during her life, Charles Wesley’s music still encourages people to turn to God and live a life of love and service. So, GO Charlie!!! Those who sing, pray twice. Those who sing Wesley hymns, rejoice twice. But we won’t vote twice. Gay Pogue, I want to see that icon when you finish! And Margaret, “wimple or wig”? HILARIOUS! (I almost wrote “Whig.” Hmmmmm…..
My last *gulp* vote *sniff* goes to Charles Wesley. Oh, LMW is upon me! Thanks for an AWEsome Lent Madness season. Wow! What long, strange trip this has been that we end with the deaconess and the musician. Such a tough one to choose between, but I went with Harriet. Thanks, SEC and celebrity bloggers. Two of my favorites throughout this journey. The social worker in me wants to vote for Harriet…the musician and singer for Charles. In favor of another unsung hero of the faith my vote goes for Harriet. The world knows Charles Wesley. It needs to know Harriet Bedell as well. My vote goes to Harriet Bedell, an unsung hero. While Charles Wesley teaches us how to sing, Harriet Bedell teaches us how to live and love. Wesley’s hymns have inspired me ever since I became an Episcopalian, and I love “Love divine …” It is that sort of inspiration that has led me to serve as a missionary in Sudan and Haiti, and now to serve on the Rosebud Indian Reservation in South Dakota, living with and among the Lakota. But soaring words and soaring music are not enough to help bring about the Kingdom. Serving others does that. And I know I need saints who show me how to live out the life of which we sing and for which we pray. Harriet may have been inspired and sustained by Charles’ hymns (as am I), but she didn’t stop there. She served her whole life in the fields of the Lord. How could I not vote for her? Harriet, you have been and are a good and faithful servant, showing all of us how to live out the words of the Gospel and yes, of Charles’ hymns. I am blessed to have met you through Lent Madness, and shall strive to be as faithful as you. My vote is in for Charles Wesley. Harriet reached people during her lifetime, but Charles continues to reach people today and will as long as hymns are sung in church. There’s no question in my mind it has to be Charles. Awww, come on! 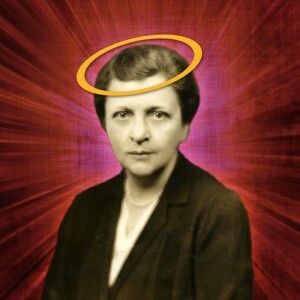 Frances Perkins won’t have to turn over her well-earned Golden Halo! This year’s winner will have earned her/his own. There’s room for oodles of halos in the communion of saints! Have loved being part of this year’s madness. Thanks to all! Mary-Eileen- i thought the same. Miss America keeps her crown forever(i think) so it should be with the Golden halo- Let Frances Perkins continue to prance around Heaven with her halo. Don’t make her give it up to this year’s winner…There’s room for more. I am slowly going into LMW. it just went by so fast it seems. BUT- it was fun. i’m not sure , but i think every single one i voted for lost! i hope i didn’t jinx Harriet. Harriet is my strong choice. She has made an impact which will Last. As of 7:50 PDT, Charles is ahead by 108 votes. Make that 109. I add my thanks to everyone else’s for such an interesting, sometimes nail-biting Lent Madness. Blessings to all! Not to discount Harriet Bedell’s holy achievements, but I feel a more personal debt of gratitude to Wesley. During times of inward struggle, when it seems nothing else keeps me tied to Christianity, the great old hymns always bring me back to a heart-level encounter with Jesus. Charles wrote a lot of my favorites. Thank you, Lent Madness contributors, for another inspiring year! Thank Heaven this is the last round. I can’t take any more of these tough choices! LOL! As much as I love to sing Charles Wesley’s hymn, I have to go with the good deaconess for the GH. I really believe it would be much harder to do our work today without her laying the groundwork. God bless them both! While Harriet’s work with various Native American populations is to be applauded, it is difficult for me to compare that to the impact of Charles Wesley. There is not a Christian denomination which does not have at least one Charles Wesley hymn in there hymnal! I look forward to singing “Jesus Christ is Risen Today!” on this Easter Sunday along with millions of other Christians worldwide! The beginning of the quote for Harriet Bedell could apply equally as well to Charles Wesley and then some: “Measured in terms of the number of lives … touched and brightened, the achievements” of Charles Wesley indeed “assume monumental proportions”! Music in the form of hymns is a universal language, a gift from God, that can speak to us all, and has in Charles Wesley! My vote is most emphatically for the hymnwriter Charles Wesley! I meant “their hymnal”! Typos all over the place! Such a difficult decision especially one who absolutely loves Charles Wesley and his singable music but in the end Harriett and her work with native Americans got my vote. HARRIET!! Powerful woman with enormous heart. I’m gonna miss you Lent Madness …. see you next year. I am so very glad to know Harriet Bedell and to have her example and her wonderful rules for living to carry with me out of Lent and into life. But I close my eyes and think of the words Charles Wesely crafted that have articulated so much for so many for so long. I think of how those words weave through my own life. I salute the Deaconess and vote for the musician made for friendship. I appreciate the work of Harriet Bedell; she was a wonderful person as many, many deaconesses, lay people, priests etc. were. But Charles Wesley continues to lift hearts and spirits toward God. His songs provide words for those who sometimes cannot find them. My vote is for Charles. Hymns ARE prayers, and Kindness is LOVE. And we have to decide between them only in this case. They can live together in our hearts. Looks like a cliff-hanger, very appropriate. Since my parish is going through the process of finding a new rector, we’re all going through a period of reflection on what the church is for, and I’m focused on the missional aspects of our faith. Helen by a hair! This LM has been an incredible ride — I did not think we could surpass last year but the SEC pulled it off. I usually vote first thing in the morning, but not today. I have made my decision — Wesley gets my vote for his continued evangelism every time one of his hymns is sung. This choice is maddening! Whoever winds up with the Golden Halo will be deserving. Thanks for the great season. I have learned a lot. See you next year! “Frances Perkins prepares to hand over her halo”?!?! She doesn’t get to keep it?! I always assumed St. Eligius (patron of goldsmiths) made a new one each year for the GH winner! Now I learn that the halo gets passed around! That just isn’t right! Who among you have spent a night in the Everglades in August? Or March, or September? It can be a beautifully brutal place. Harriet is my Hero! The Deaconess is a wonderful example for all deacons. Harriet of the Gold, or goal! Are you kidding me? Any single women, who could life in the states of Alaska and the swamps of the Everglades, to serve our God is unquestionably a winner. These states have huge mosquitoes that will try anyone’s faith, particularly in the days before chemical bug spray. Talk about ‘faith that is know to God alone’! What a saint! vs … well, you get my drift. The Golden Halo for Harriet! High noon Eastern time…. 104 point spread for Charles. It’s going to be one of those days! And I think that each Golden Halo winner gets to keep their Halo forever! Can’t imagine where our worship services would be without CW’s beautiful hymns? A worthy candidate for the 2014 LM Golden Crown. Never change horses in mid-stream! Well. actually….that’s how I would be found..dead as a doornail on one since I ordinarily wouldn’t be caught dead on a horsey! So, I continue being faithful to the deaconess…sorry Charlie ! Bedell for all deacons ! Doesn’t matter if you’re tone-deaf or not..sing in your your heart! Bedell for the GOLDEN HALO !!!!! Hmmm Cast my vote for Harriet the wonderful. But it is close. We may have to have a recount and make certain there are no hanging chads. Lou Ness, one of our Chicago deacons, left Rockford on April 2 and is walking to Washington, D.C., carrying the stories of the the homeless and the hungry she serves and of those she meets along the way. She is in Indiana this week. She will share these stories with anyone she meets in the halls of the Capitol. As a deacon, and in honor of Lou, my Lakota mom, Deacon Ruth Potter, and all those who have taken up Harriet’s legacy, consciously or unconsciously, I’m voting for Harriet. I went with Charles for the win. His God sent hymns cross over into many denominations and religions. Simply love how music is such a “common” denominator. God’s blessings to dear Harriet. She is an inspiration to all. Charles Wesley walks around with me through my daily work and ministry. His words give life. I respect and admire Harriet, but think Charles has had more influence on more people and brought us closer to God and God’s kingdom on a daily basis. For the Golden Halo! Charles was more than hymns. He was a founding member of the Holy Club at Oxford: serving the poor, visiting prisons, feeding the hungry, along with personal piety in prayer and the Scriptures. The group was so ‘methodical’ in their daily and weekly practice that the named Methodist started there. NOOOooooooo!!! I don’t want to have to decide between these two! NOOOOOOooooooooo!!! I don’t want Lent Madness to end! I’m already suffering from LMW. With much wailing and gnashing of teeth, I am voting for Harriet Bedell, but looking longingly back at Charles Wesley as I do it. Still voting for Harriet! Charles is already so well-known, has so many tangible signs of his life and ministry–hymn texts, sermons, accolades, a whole new denomination, for Pete’s sake! But humble Harriet, who lived out the Gospel in such important and difficult ways, deserves a larger place in the heavenly pantheon! Remember Jesus’ words: “Whoever humbles [her]self shall be exalted!” So let’s exalt her here! Look, nothing anyone says here change the saintly-ness of either finalist. I just think LM is about awareness. As we move along in our fast-paced, multi-tasked world, it is easy to lose sight or never even know of the saints gone before us in all the ages. I just want as many people who already know of the ministry and gifts of Charles Wesley to ALSO know of Harriet’s gifts and ministry. Both or models for which we can be thankful. BUT Harriett Bedell can use the publicity. The Golden Halo can help with that. I was so sure who I was going to vote for this morning until I read everyone’s comments. Now I am very confused. I have voted for both of these saints throughout the brackets and now I have to choose. I’m going to have to have another cup of tea and cogitate for a while. Maybe I’ll go play a few hymns while I await my answer. Charles Wesley has my vote. I’ve been singing his hymns for years and never knew anything of the man or that he wrote the hymns. Thanks Lent Madness! If you’re still wondering who to go with. Take a few minutes to walk with the Deaconess. Once again a toughie, but for me Harriet won out. I love the music of Charles Wesley, but Harriet was one determined lady and therefor she got my vote today. Of course I will be ok if Charles get the Golden Halo!! harriet has my mind, intellect, admiration and inclination, but charles has my heart, after thinking, and thinking, it’s charles. So many people have mentioned “Jesus Christ is risen today” — if I’m not mistaken (and I’m certain that someone will tell me if I am!) Charles Wesley wrote stanza 4, not the entire hymn. . . . which is not meant to lessen his contribution, only to say please give credit where credit is due. Actually there are two similar hymns. “Jesus Christ is risen today! Alleluia” in which Wesley wrote verse 4, but also “Christ the Lord is risen today!” which was entirely written by Charles Wesley. The former is sung to the hymn tune Easter Hymn. The latter is usually sung to the tune Orientis Partibus, but has also been sung to Easter Hymn with the alleluias added! Well my guess is that most Episcopalians will be singing the version in which Wesley wrote verse 4. I think “Christ the Lord is risen today!” has become “Love’s redeeming work is done” in our hymnal, has it not? Bedell gave up her job to train as an Episcopal deaconess in New York City. . . .She threw herself into her work and gradually gained the love and trust of her people. She was adopted into the tribe and given the name of Vicsehia, which means Bird Woman, because she sang, hummed, and whistled constantly while she worked. Harriet devoted herself to the Cheyenne until she contracted tuberculosis and was sent to Colorado to recover. There she attended a healing service and became free of symptoms, which she called a miracle. The Bishop of New York asked her to visit the chain of missions in Florida to recruit church workers. On this trip she first encountered the Miccosukee tribe. She decided to remain in Florida to help the Miccosukee. 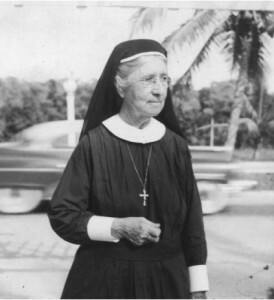 She taught Sunday school, sewing, literature, hygiene, music, and a variety of other skills to the Miccosukee and the young children of Marco Island and Collier County. Bedell borrowed on her salary and made an arrangement with the Collier Corporation to finance sales of Indian craft, including beadwork, clothing, pottery, carving, and leatherwork. With the proceeds, she repaid the loans and gave the Indians company script which they could spend at the store in Everglades. Every Christmas she arranged an enormous party with feasting and entertainment and gifts for all the Indians and children from Everglades. In September 1960, Harriet was forced to evacuate her home when hurricane Donna struck. The storm leveled her property, destroying her typewriter, sewing machine, children’s books and gifts set aside for the upcoming holiday celebration. Refusing to be idle, she planned and taught Sunday school, worked in the infirmary, and gave speeches to recruit mission workers. I think Charles has had his time in the limelight; Harriet’s life work needs some time with a light on it. Excellent argument–I was just overcome by “Love Divine,” among other reasons. I’m glad the voting is currently so close and I suspect will continue to be until the final ballot is cast. This was a coin-flipper for me! I went with Harriet only because she is the lesser known. Both poured out their God-given gifts lavishly in His service. Thanks, SEC, for a great Lent! Have voted for both throughout the bracket but today it will be HARRIET! In thanksgiving for the deaconesses in my life – Bonnie Skellen, Charl Kapp and Mary Lord. I thank them for their ministry and presence and I thank the LM crew for their ministry, presence and sense of fun in the name of the Lord. God bless! Thank you so much to the SEC and the Celebrity Bloggers. This has been so much fun! I voted for Charles, but will be happy if Harriet wins too. Great matchup. I cast my vote for Harriet today, because she represents the learning process that I’ve experienced this Lent through the mini-biographies of so many extraordinary people. Charles Wesley is a familiar name, from my Methodist childhood, but I’d never heard of Harriet…or many of the others I know about now. Looking forward (day by day??) to next year. Voted for Harriet, but I think Charles would look better on a mug. Wow. It’s Florida v. the Methodists, and it’s neck-and-neck…. The halo is VIRTUAL and will remain theirs as long as we keep them in our minds and hearts. Besides, aren’t WE the winners here, since OUR lives were enriched by the contestants, and commentators, this season? good point, Susan…and yes, LMW is terribly difficult! I love them both. I had never heard of Harriet Bidell before, but she was definitely a saint to be reckoned with. Small in stature but big of heart, she served those who needed it most with the love of God in her heart. However, Charles Wesley, besides all those beautiful hymns, was not above getting down and dirty, when going into the fields to preach the good news of the Gospel. I voted for Charles. of both of them. I am a former Methodist now Episcopalian and am happy Charles has a home in 3 denominations and admirers in many. also agree she needs to be known by more people and the halo will help. But this is a win win choice. An excellent resource, although apparently out of print, is “Praising the God of Grace: The Theology of Charles Wesley’s Hymns” by Charles Yrigoyen Jr. (Abingdon Press 2005). It gives a good introduction to Charles’ thoughts and theology as expressed in the hymn lyrics he wrote. So I closed my eyes and clicked and prayed until the percents came through. And I meant to be there too. Charles Wesley’s hymn, “Your Duty Let the Apostle Show” shared in thanksgiving for the life of Harriet Bidell. The members of your Lord. Judging by the tenor of the comments, one would think that all Charles Wesley did was write hymns and that hymns do not count for very much. 1) Charles Wesley along with his brother’s role was much more than as a hymnwriter. 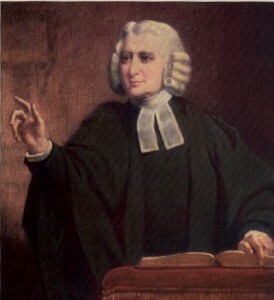 While there are several recognized as hymnwriters specifically in the Lutheran Calendar, Charles Wesley and his brother are recognized as Renewers of the Church — along with Martin Luther, and John Calvin, and Teresa of Avila and many others involved in changing and shaping the church through reformation and renewal. Even the Catholic Church gives recognition to this role of such people. The Wesley brothers, even though they never abandoned Anglicanism, helped found a whole denomination. Through their work they brought many, many souls to Christ! 2) One of the vehicles for doing his work, for Charles, was his hymns. Hymns and all sacred music have the power to move people, to uplift them, to help us overcome our sorrows and to rejoice in the Lord’s presence, to give us all a real sense of that presence. Whenever my life has become rough and turned in a wrong direction, I found solace in music. Whenever things have gone well and I rejoice in the Lord, it is music that helps my spirits soar! When I sing “Jesus Christ is risen today! Alleluia!” this coming Sunday, it will be rejoicing knowing that one day I will be reunited with both of my parents, and my grandparents and others who have gone before me, and that one day I will realize the one dream that I know will come true — that I will be able to sing praises to my Lord in person! ALLELUIA! As I said hymns have power to convert souls, to make us better people, to teach us the Lord’s presence and to help us follow him. Charles Wesley DID that and more with his hymns and through many other activities throughout his life. He was indeed a faithful servant of the Lord — and most definitely, contrary to the opinion of some here, he was a DOER! That is why I voted for him and why he is deserving of the vote here of others! everything you have said is so true. I love that he was both a doer and an accomplished songwriter. All of christendom has benefited from this. As of 5 pm Eastern, the margin is 99 votes!!! Waiting for the white smoke! I wish it was as easy for me to share my faith with others, as it was to share my love about Lent Madness. This is now my third year voting, and I have become an apostle. Perhaps in a way reading about these saints and their lives will make it easier for me to grow in faith in mine. Thank you to everyone who has left comments over this past weeks, and to all involved in making this happen each day. I have learned so much from all of you. It was a tough vote today, but in the end I will hold my new coffee cup high whomever is on it. I sooo agree with you Laurie, it has been great fun and I have learned so much. Already looking forward to LM 2015. Charles was the greatest writer of all. (Not that I have any reason to be biased). Charles is currently in the lead with 124 votes (3:06 PDT). Since I’m both an Episcopalian (and therefore an Anglican like Charles & John were) and a proud graduate of Southern Methodist University (#PonyUp), I cast my vote for the Rev. Charles Wesley. Voting Harriet all the way, but oh, that hymn quote from Wesley is just unfair! Singing “Love Divine, All Loves Excelling” in the car today gave me goosebumps. Both saints served God well and long, but Charles is my choice. What a nail biter. Had to go with Harriet for the Halo. I sometimes find myself waking up with the lines of Charles Wesley’s hymns running through my head before I’m my fully awake. For these prayers of my heart, it’s Rev Wesley! Only 12 hours to go and the vote spread is 97 votes! There are still people in the Everglades City area who remember the Deaconess and how determined she was to help “her Seminoles”. But, she was also active in the local community and became a sort-of-grandmother to many. The bell that tolls in the Everglades Community Church was at the original Glades Cross Mission (founded by Bishop Gray in 1898) and donated by the Deaconess so history is alive here and she is not forgotten. The comments are so sweet today! It seems no one is anxious to leave LM, even though fatigue has set in. We are all looking forward to a splendid Easter—Sunday and forever! This has been glorious! So much to learn about our cloud of saints. I was evangelized through the music of our church, so I have to vote for Charles. But there are no “losers” here. I’ve been voting for Harriet all along because of her commitment to real people where ever she was sent. What an awesome testimony to God’s work in us! Praise be to God for servants, preachers, musicians and leaders! Thanks to all for providing a fun-filled for national and informational Lenten series. This is a toughie although I spoke in support of Harriet, I still feel I need to vote for Charles. I have been enriched by LM this year, even had folks checking online at noon today who had never heard of LM before– some new converts no doubt! How about some Adent-ure fun come Dec? What a gift this is! I think choirs everywhere are voting for Charles. I know I lobbied my own choir at my Episcopal church in McLean Virgina to vote for Charles. If you are a choir member, you can’t NOT vote for Charles. He wrote the best some of the best hymns of al times and for millions of Christians its hard to imagine Easter or Christmas without the Wesley soundtrack he imagined. This is no small thing. Giving us a narrative with which to remember and understand our Holy days is a profound contribution to our faith. That’s why he earned my vote. A vote for Harriet in honor of the Daughters of Charity of St Vincent de Paul. Harriet’s life is an examplary one for all wo/men who choose a life devoted to the care of others in service to God. Emrys E Jones, the headmaster in my first year in grammar school in Wood Green, Middlesex, England back in 1948 had his pupils sing often during assembly his favorite hymn, “Jesus, Lover of my soul”. I will remember forever his last assembly before he retired. We raised the roof. I try to do that every time I hear it, now my favorite hymn. My vote is for Charles Wesley! This has been a wonderful Lent season as I’ve learned and reflected on those who were in the brackets and on the comments left by some very thoughful people. What a wonderful world!! I’m saddened that we once again have multiple voting issues. It’s been a wonderful adventure once again this year. I’ve loved the match ups, have been disappointed and delighted as my favorites have moved forward or gone down in defeat. All already have their golden halos but still having the honor of wearing this special one on a coffee mug is an unmitigated honor. Please play fair, folks. Cheating would not be approved by Harriet or Charles. Cheating again!? Wow! Come on!!!!! Well, that’s just tacky!! Have we not learned anything these 40 days about saintliness?? It’s been a wonderful journey ~ thanks to all who made it so! ~ I am sad that some have missed the journey, being so focused on the end (by any means). Happy Lent, folks! Imagine how many Harriets were inspired since Charles put pen to paper. My vote was for Wesley today. Good words inspire good works. Thanks to everyone for their inspiring thoughts posted here. As a humble choir member, I am inspired by great hymns and cast my vote for Charles. Wesley is ahead, woo-hoo! Amen and pass the grape juice! I would like my Wesley mug to have a line of his verse on the back. That would be awesome. Thank you for your consideration. Lent Madness was quite a referral and rewarding experience. I am sure I may not remember all I have read and learned but, I’m sure light bulbs will occur periodically. CW may win the Golden Halo but I’m gonna get a mug and have imprinted HB’s photo with her own Golden Halo to match the one indelibly imprinted on my heart as a reminder that I can do more and be more than before in His Name. So there….and Amen. Awwww what a great way to keep what she was about with you! Bless you! i agree, this is a great idea!!!! So, if Charles wins, will his mug have a chip implanted so that each time you pick up the cup, it plays one of his hymns? We could have a followup Hymnody Madness to determine which hymn it shall be!! I love your idea! I’d buy that. why do some vote more than once? it’s a shame that there are people out there that don’t play fair. i am saddened by this. now it doesn’t really matter who wins. they are both great and deserving. this is a “game” people. a way for us to learn. thank you SEC and MA for the fun and learning. almost HAPPY EASTER to everyone. WOW, only separated by 200 votes. I’m just wondering if our two Archbishop Friends brought to us by Maple Anglican suffer from Lent Madness withdrawal like we mere mortals do?